It may not be possible to drill down to the essential knowledge of ‘wheeling — but that won’t stop us from trying! If you’re new to off-road driving, you need to know the basics. 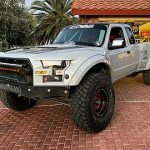 These basics can be grouped into five categories of information: how to pick a 4×4, how to build your vehicle, how to tune your vehicle, how to make good decisions, and how to drive on the trail. When it comes to learning about ‘wheeling, consider these the top five topics of information. We’ll tackle all of them, and provide you with the top five tips for each. Note that our tips are intentionally general, as we’re aiming to achieve the broadest reach possible. Dimensions. Smaller dimensions perform better most of the time. You want a vehicle with short rear overhangs, steep approach angles, and more open space underneath. Weight. A lighter vehicle is preferred over a heavier one. 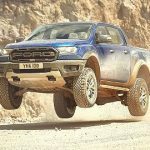 Lighter trucks and Jeeps use less power, but have better traction and flotation. Wheelbase. The challenge with wheelbase is to balance performance and stability. Usually this balance is achieved when the wheelbase is 90-100”. A shorter wheelbase gives up too much in stability. A longer wheelbase negatively impacts your clearance and approach angles. Build-ability. 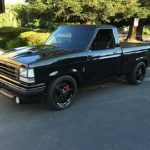 Some trucks are relatively easy to modify, while others are not. High-tech features can be particularly problematic. 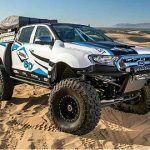 For example, you’ll have trouble making upgrades and modifications on a truck that has traction control or hill descent control. Aftermarket popularity. Look up the number of products available for your prospective rig in a 4 Wheel Parts or 4Wheel Drive Hardware catalog. Specifically, check for suspension, drivetrain, and recovery parts. 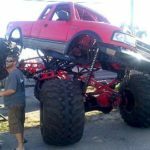 You want to be able to lift the rig, improve its traction, swap out the tires, change the gearing, and install recovery equipment. If the options are limited, then you’ll be more dependent on one-off, custom parts. One-off parts are expensive and they lack professional engineering and market testing. The more options you have from reputable aftermarket manufacturers, the better. Safety. Your first modification should be the installation of solid recovery points on the front and rear of the rig. For the back, you can use a Class II or III receiver hitch. You’ll also need the following equipment: recovery strap, two bow shackles, fire extinguisher, tool kit, kit of spare parts, compressor or CO2 tank, and a reliable winch and winch mount. Tires. The right tires can significantly enhance your off-road performance. 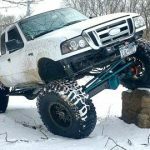 Bigger tires are always preferred, but you have to work within any limitations created by the lift and gearing on your rig. 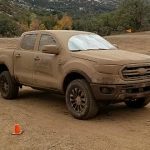 Mudders and rock tires (manufactured by companies like Interco, BF Goodrich, Pro Comp and Mickey Thompson) are the best choices for trail driving, although these tires do not perform as well on the street. The most common issues you’ll have with street driving are tire wear and poor performance in the rain. Lifts. You’ll choose the tires and lift together, since your choices in these two categories influence one another. An immense lift has a certain amount of appeal, but there is a point where the size of the lift becomes counterproductive. In other words, don’t lift the rig so much that ride quality, safety, and stability are negatively impacted. Safety and practicality should take precedence over looks. The next step is to research the available ratios for your vehicle. Select the ratio that’s highest numerically (i.e., the lowest gearing). In our example, your options would be 4.30:1 or 4.56:1. You’ll also want to know if your axle strength is sufficient for the tire size. The table below provides some general rules, assuming the axles are in good condition. One last tip is to stay away from the lowest available ratio for the ring gear diameter, as this will impact your strength. At the extreme end of the range, the number of teeth on the pinion gear is lower. You are better off switching to an axle with bigger ring gear; you’ll get a higher pinion tooth count. Traction. You will need a traction aid in at least one of your axles. If it is an either/or situation, install the traction aid on the rear axle. Your first choice should be a true locker, but a tight limited slip can be a decent second choice. A loose factory or aftermarket rear limited slip doesn’t do much for you. In the front, the ideal traction aid depends on the front axle. With an automatic locker or tight limited slip in the front, you might need to unlock a hub on occasion to complete a sharp turn. An alternative to unlocking the hub is fitting a twin-stick conversion in the transfer case. The goal here is to uncouple the front axle in low range. For the front axle, the best option is a driver-controlled front locker. One word of caution: Independent front suspension differentials and CV axles are often not as strong as they should be. When this is the case, a locker can contribute to an early failure, because it sends all the torque through the one axle. A looser limited slip can be the fuse. You should also be cautious with a driver-controlled locker. Tire pressure. Adjusting your tire pressure to the terrain is a common method of tuning, if you know what you’re doing. Although tire pressure tuning is a relatively complex topic, we can cover a few basic rules here. First, don’t lower your tire pressure unless you have a way to air your tires back up. You would air down your tires to increase the area of the contact patch. A tire with less air has better gripping performance on uneven surfaces, thus it provides better traction. On soft terrain, the aired-down tire is less likely to sink. The right “aired-down” pressure for your rig depends on the vehicle weight, the tire size, and whether or not you have a beadlocked rim. Generally, you can safely reduce your street tire pressure by 25% to realize the improved off-road traction and flotation. At a minimum, on mild off-road terrain, you’d get a smoother ride. Equipment load. It’s important to have the gear you need, but don’t over-pack your vehicle. A heavier vehicle needs more traction, and is more likely to sink on soft ground. Shocks. Adjustable shocks provide more tuning options. When you are concerned about axle wrap, you should keep your shocks firm. Slow and steady rock crawling, on the other hand, often demands a softer setting and more flex. If your rig is equipped with a soft-sprung coiler, a firmer setting can minimize off-camber sway. Use a medium or high setting on the shocks if you’re traveling at speed over washboard surfaces — but you may need to make some adjustments based on how fast you’re driving. Sway bars. You can increase travel on the trail with swaybar disconnects. There are situations, though, when you’ll want to leave the swaybar engaged. These include driving on side hills and fast dirt roads. If your coilers have seen a lot of miles, they might need the stabilizing force of an adjustable, anti-sway bar system. Engine. You’ll want your engine to be tuned for low speeds. You also need a clean air filter and effective cooling system. If you’re driving in muddy and wet conditions, use dielectric grease to coat and protect electrical connections and vulnerable parts. Tread lightly. Make sure you respect the trail. Not doing so just increases the likelihood that you and all four-wheelers will be banned from the adventures we love most. Don’t venture off the trails, leave trash behind, or cause unnecessary damage. Understand limitations. Do not take on more than you can handle. Off-road challenges can be reasonable or unreasonable, according to your skill level. Know the difference and abide by it. Adapt. Be ready to try creative problem-solving. If a particular strategy fails you five times, you probably need to try something else. Maintenance. Keep up the maintenance on your vehicle, and don’t take it out on the trail if there are pending mechanical issues. No parties. Leave the beer and other intoxicating products at home. Hitting the throttle. Develop a fine touch on the throttle, so you can avoid using too much or too little. You should be able to provide just the right amount of throttle at the right time, on instinct. Using gears. Gearing steps in a 4×4’s drivetrain are simply torque multipliers. At lower gears, the torque is multiplying more. At higher gears, the torque is multiplying less. In either case, the amount of torque interacting with the tires and ground surface affects your traction. When there’s more torque than necessary, the tire spins. To reduce the torque, you can shift up or lighten up on the throttle. Understanding the terrain. Watch and learn is the best strategy for everyone, but particularly for novice drivers. Study how other drivers tackle the terrain. You want to follow the route that gives you traction and clearance over obstacles. If the surface is uneven, find a line that keeps the load on the tires as even as possible. By keeping the vehicle level, you get more traction on more tires. Physics. Momentum and weight transfer are important concepts for off-road driving. What you need to know about momentum can be summarized with a quote from Newton, “A body in motion tends to stay in motion. A body at rest tends to stay at rest.” For your purposes, this means if you have little traction, it’s harder to move forward from a dead stop than it is to move forward from a crawl. In other words, you need less traction when you’re moving. As for weight transfer, know that angled surfaces cause weight transfer. Your vehicle’s weight can shift from one end to the other or from one side to the other. When you’re driving uphill, the weight shifts to the rear tires. When you’re driving a side hill, the weight shifts to the tires on the downhill side. TRS Note – Failing to understand physics, momentum, and weight transfer can lead to vehicle roll-overs. An example would rolling over while trying to turn around on a hill side. I actually saw someone try to turn around on a failed hill climb. He had people hanging on to the side of his bed to keep him from rolling over. Perspective. The driver’s seat offers you limited visibility to the terrain. Sometimes, you need to get out and look around. When the driving gets really tough, have someone else hop out and spot you.